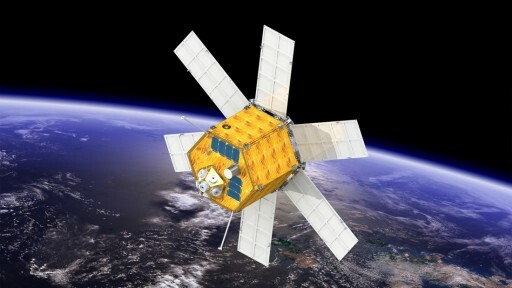 TableSat-Aurora, also known at TableSat-Aurora-2U-EO is a 25-Kilogram satellite designed and developed by SPUTNIX, a Russian start-up company specialized in the design of small satellites up to 50 Kilograms for Earth observation, communication and technical demonstrator payloads. The spacecraft uses a hexagonal satellite bus that features six deployable fixed solar panels for power generation. Power is stored in LiFePO4 batteries and distributed by a dedicated avionics unit. The satellite will test a PCB-based GaAs solar panel. 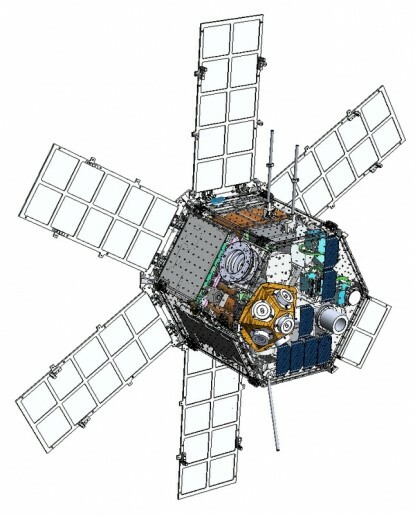 TableSat-Aurora is three-axis stabilized using star trackers, sun sensors, a magnetometer and an inertial measurement unit for the acquisition of precise orientation data. Fine pointing is achieved through the use of reaction wheels and magnetic torquers for momentum dumps. The SPUTNIX sun sensor has a field of view of +/-60 degrees for accurate determination of the sun vector. It is 19 by 46 by 38mm in size and weighs 100 grams requiring 0.05W of power. The SX-SR-Mini-01 Star Tracker obtains attitude information with an accuracy of under 1” with an update rate of up to 10 Hz to be capable to track stars up to a spacecraft angular velocity of 3deg/s. The spacecraft is equipped with a GPS receiver, a UHF terminal for command uplink and telemetry downlink and an X-Band transmitter for data downlink. The X-Band terminal uses switched array technology providing a wide scan sector of 128 degrees to allow the satellite to maintain its nominal attitude during communication sessions without the need of maneuvers to track a ground station. The system operates at a frequency of 7.95 to 8.6 GHz. TabletSat-Aurora uses a Pug-n-Play architecture based on the SpaceWire bus for all of its onboard systems to simplify systems integration and the overall architecture of the spacecraft to create a flexible satellite design. The satellite carries an Earth imaging payload equipped with a panchromatic photo- and video- camera that covers a spectral range of 430 to 950 nanometers. 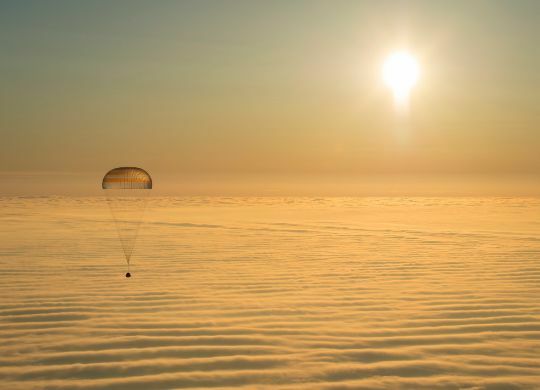 The payload covers a swath of 47 Kilometers and achieves a ground resolution of 15 meters.